With a proven track record and a tried and tested formula I am a results driven personal trainer specialising in rapid fat loss and muscle gain. I personally understand what dedication, commitment and hard work it takes to get truly amazing results and I believe this is one of the keys to my client’s transformation successes. 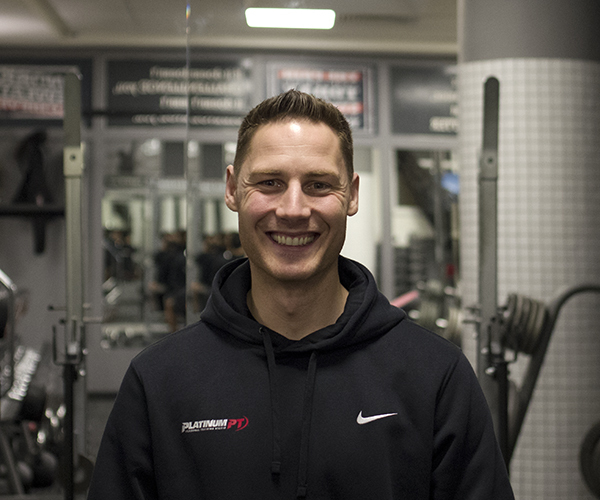 I am passionate about taking a holistic approach to health, developing personalised nutritional and training plans that work for the individual and fit in with their lifestyle. I believe in educating my clients on how to eat, train and live well for the long term in order to sustain a healthy mind and body for a lifetime. Mixing strength training and bodybuilding with functional metabolic programs with the odd bit of interval stair running coupled with a nutritious diet of whole natural unprocessed foods does the trick!